How to download Tudou videos may bother you a long time, if you do not have a good way to save Tudou videos for playback offline or for storage. You are so lucky to get the best method to download videos from Tudou easily with the powerful Tudou downloader provided in this article. To free download Tudou videos, you can use iTube Studio for Mac (10.14 macOS Mojave, 10.13 macOS High Sierra, 10.12 Sierra and OS X 10.11 El Capitan is also compatible). Unlike some downloading programs, iTube Studio adds a Download button to every Tudou video so you can start downloading in just one click. 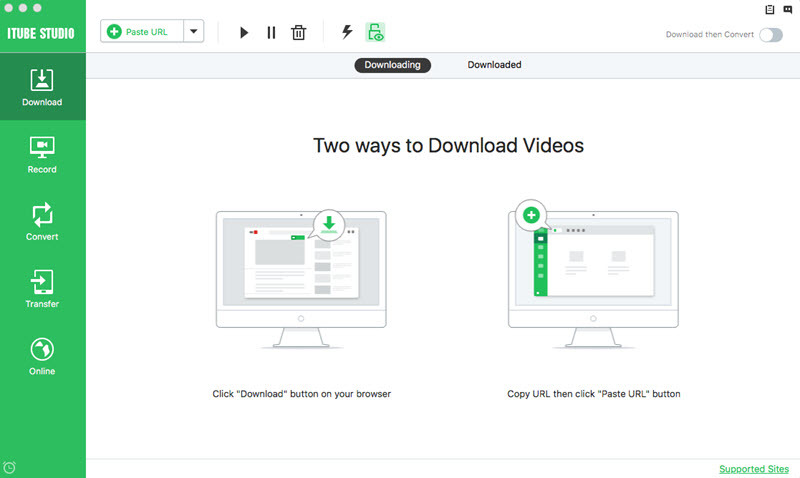 After the videos have been downloaded, you can easily play them with the built-in player or manage the files in the video library. You can 1 click download videos from Tudou, Youku, YouTube, Facebook, Vimeo, and 10,000+ sites. Its built-in video recorder allows you to record videos from any sites including Hulu and Netflix. It can convert video to any popular formats and extract audio from videos. 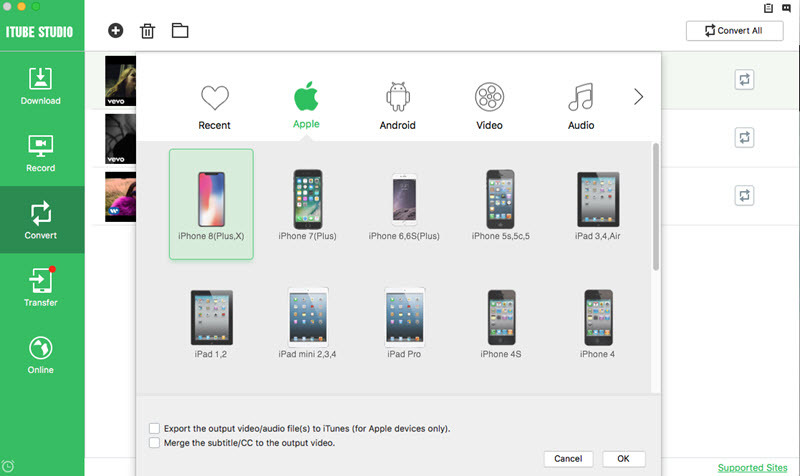 Optimized preset for iPhone, iPad, iPod, Android phone and tablet, and game console. Download iTube Studio Tudou downloader and install it with the help of the on screen instruction. After that, launch the program. 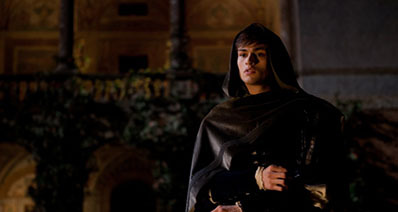 Now go to Tudou.com to play the video you want to download. A "Download" button will then appear on the top left corner of the video. Click it to start downloading video from Tudou. 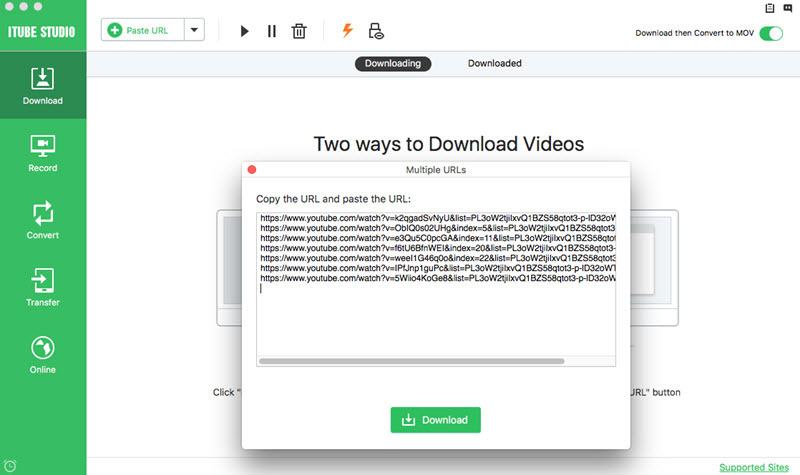 Here are another two ways to download videos from Tudou: After you have copied the video URL, resume to the program and click the "Paste URL" button to download the video; Or directly drag and drop the video URL to the program from the address bar. You can also convert Tudou to MP4 or any regular format so the downloaded Tudou videos can be watched on any of your portable devices, including iPad, iPhone, iPod, game devices, Android, etc. 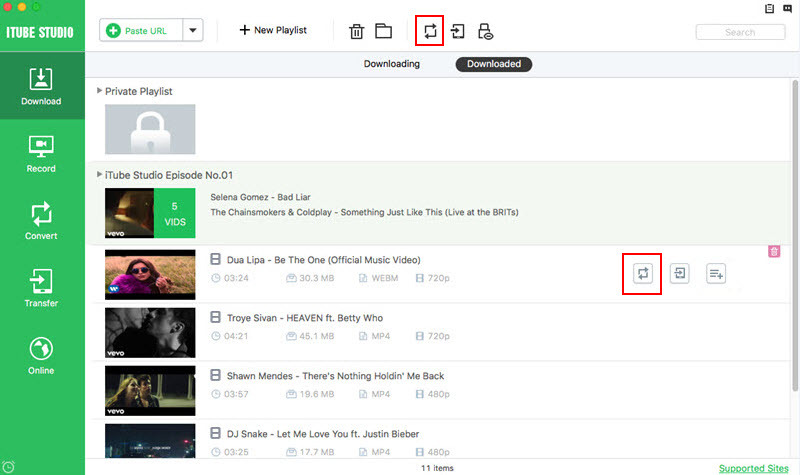 To convert Tudou videos to iPhone or Android devices, first add the downloaded videos to the "Convert" menu. And go to the "Convert" menu and then click the "Convert" on the right side of the target video. After the window for output format is activated, choose a format or device name according to your needs to convert the video. With the world becoming a global village, there is a high demand for exotic videos. If you are interested in videos from China, then Tudou videos is what you need. Tudou is a Chinese video sharing website featuring video clips and movies by Chinese people, so if a taste for the Orient is your thing, then this site is worth checking out. The only snag with this website is that, unless you can read mandarin you will find it pretty difficult to navigate the website and select videos that may catch your fancy. Not to worry, you can try out these tips to maximise your Tudou experience. Tudou, literally "Potato Net", is one of the biggest video sites for people to upload, view and share video, similar to YouTube. Since Tudou allows users to upload longer video than YouTube, the total amount of minutes of video being streamed daily from Tudou is huge, even larger than YouTube (15 billion minutes vs 3 billion minutes). If you're using Chrome, right click to choose the Translate option. You can then select English on top of the page. Google Translate also provide extension for Firefox to translate Tudou.com to English. Alternative, you can go to Google Translate site to translate Chinese into English the on Tudou page. Note: The two biggest video sites in China, Youku and Tudou have merged into one company called Youku Tudou Inc.
2. No More Web Browser Plugin Installation! Tudou videos are made available on a Macromedia Flash player technology, with the Flash 7 plugin believed to be already pre-installed in more than 90% of all online computers. So you probably already have it on your home computer. 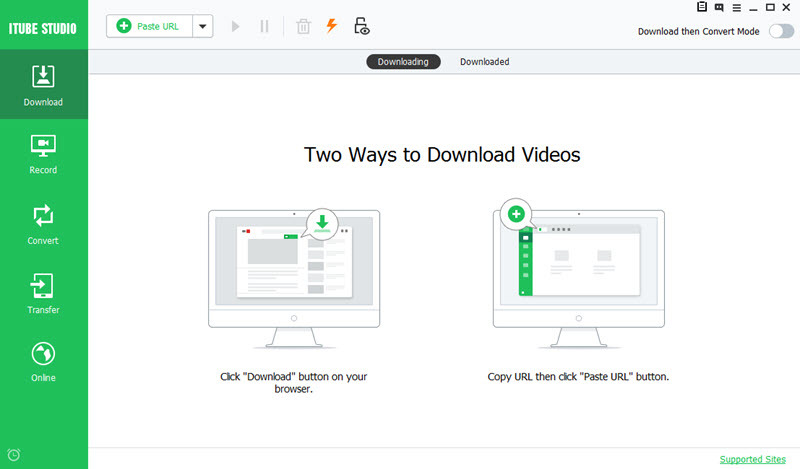 You can get to watch high quality videos better than other video sharing sites that require you to download and install a web browser plugin with playback technologies such as QuickTime, RealPlayer and Windows Media Player. Tudou videos can be played back using VLC and the videos run at a maximum data rate of 300kbit/s and at 25 frames per second. 3. Upload Videos In Any Format! You can get Tudou videos in virtually every available format; you can also upload your videos in .MP4, .WMV, MPEG, .MOV and .AVI. Cool right! You can watch videos from Tudou in a full screen mode or a windowed mode. What's more, you can even toggle between viewing modes while watching Tudou videos without having to reload the video. 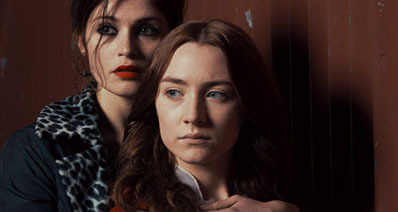 This is credited to the Adobe Systems Flash Player 9 full-screen function. You should know that there are some videos that you cannot download on Tudou because of licensing and copyright issues. These videos are actually blocked when using an International IP address to access them. It may also interest you to know that Tudou is reported to be one on the world's largest user of bandwidth. It is estimated to send above 1 Petabyte of video files daily and it uses a number of commercial content distribution networks (CDNs) like the ChinaCache in the distribution of Tudou videos across the whole of China. Hope these tips on Tudou come in handy, check out the website today and watch those Chinese videos you have always been itching to watch.